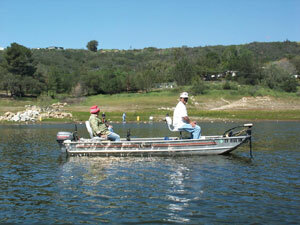 State of California Fishing License Required for all persons 16 years and older. Maximum Rental Boat Capacity is 5 persons. Maximum Bass Boat Capacity is 4 persons. State law requires all boat passengers to have a life preserver. These are available at the dock. * Any fish caught are counted against the limit of the accompanying adult.